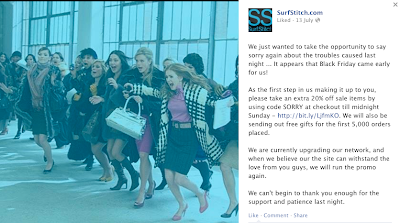 SurfStitch, winner of 'Best Online Retailer' at this year's ORIA awards had their site go down during a sale a couple of weeks ago. The way they reacted to this on Facebook was impressive. Their two posts apologising for the issue, then postponing and rerunning the sale, with a higher % off, once the site was back up and running was a fantastic way to react to the issue on the fly. 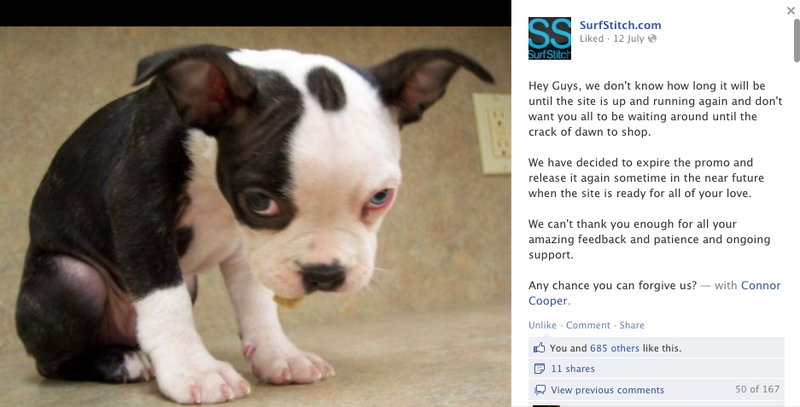 (You can click the images to read their Facebook posts). 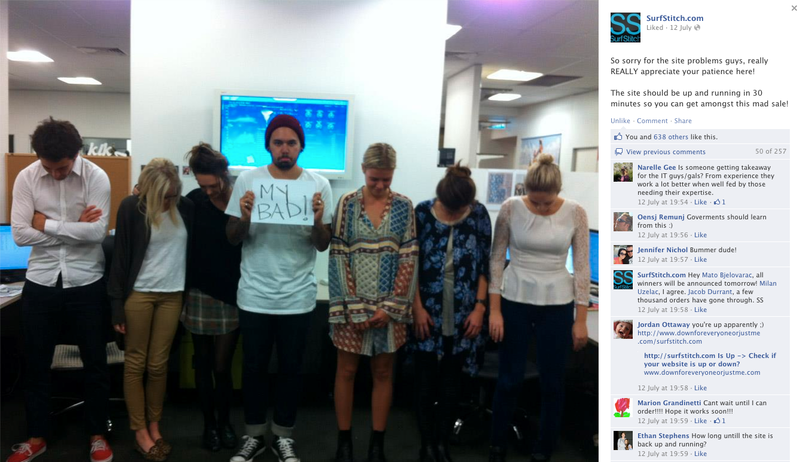 A perfect use of social media to respond to a crisis.